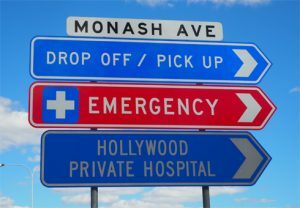 Moving to Australia you will find waiting and treatment times at Aussie hospitals are some of the shortest of any country. Moving to Australia: All patients who required clinical care immediately were seen on time, compared with 77% for those requiring care within 10 minutes, and 67% for those requiring care within 30 minutes. That’s according to the Australian Institute of Health and Welfare who say that waiting and treatment times continue to improve, even as the number of people attending hospitals is increasing. In 2015-16, there were 7.5 million presentations to public hospital emergency departments across Australia (excluding the Australian Capital Territory), or more than 20,000 presentations every day. Presentations to emergency departments are rising by 2.7% each year. People who use emergency department services are most commonly aged 15 24 years and 25-34 years. However, patients aged 65 and over (who make up about 15% of the population) accounted for about 20% of presentations, while patients aged 4 and under (who make up less than 7% of the population) accounted for more than 11%. More than a quarter of emergency department presentations (27%) were due to an injury or poisoning. The proportion of emergency department patients who were ‘seen on time’ (within the time specified for their triage category) was 74% in 2015-16, the same as the previous year, but up from 72% in 2011-12. Emergency department patients are spending less time in the emergency department, with 73% of visits completed in 4 hours or less, the same as in 2014-15 and an improvement on the 64% seen in 2011-12. About 2.2 million patients (29%) were admitted to hospital from the emergency department, with 49% admitted within 4 hours, and 90% admitted within 10 hours and 43 minutes.